One of Guernsey’s most famous residents, Victor Hugo’s life in exile in Guernsey between 1855 and 1870 was an incredibly creative period on many fronts. As well as writing many of his most famous works whilst living in Guernsey, including Les Misérables (1862) and Les Travailleurs de la Mer (1866), he also produced numerous drawings in pen and ink. 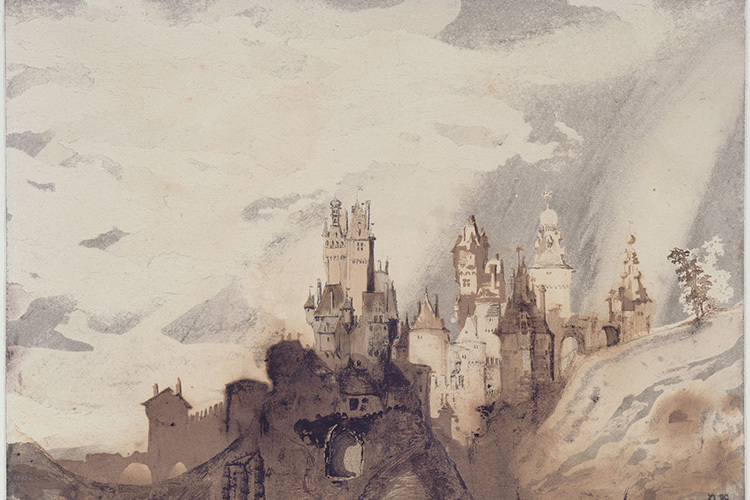 Hugo produced over 3000 such works over his lifetime, most of which were kept private or accompanied letters to friends and family as gifts, and at times this output replaced writing as his primary form of creative expression – particularly during the early years of his exile from France. Many however were produced at the same time as his writings, with his drawings being used to enrich his literary concepts and appearing in the margins of some of his texts, drawn in the same ink as his now famous novels were penned. 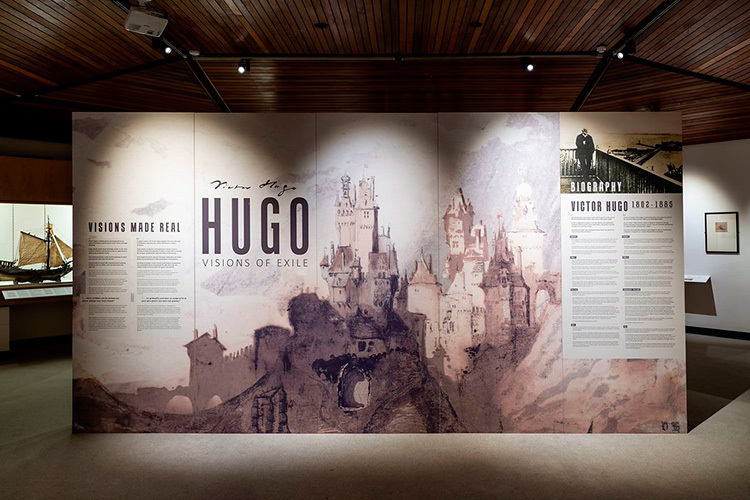 A collection of Victor Hugo’s drawings are currently being exhibited at the Guernsey Museum at Candie. "Over the past couple of years we have been in negotiation with the Bibliotheque Nationale de France and the Maison de Victor Hugo, Paris, to borrow these artworks. It is four decades since a major exhibition of Hugo's art has been shown outside France, so this is something of a coup for Guernsey." 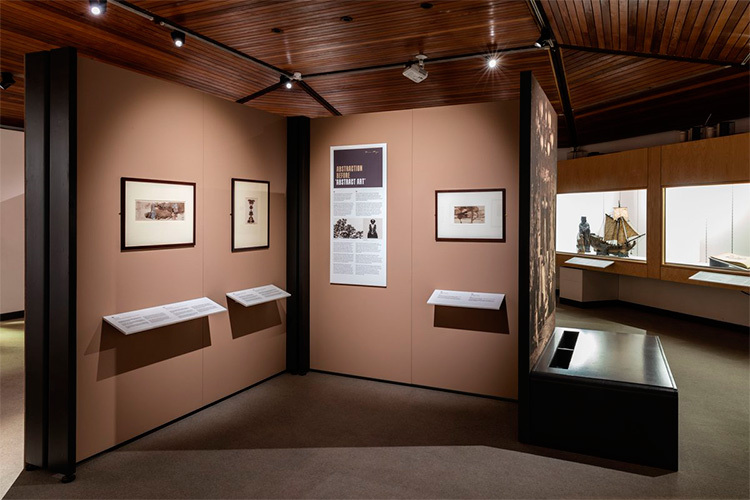 The exhibition includes 37 pieces showcasing a wide range of Hugo’s works, with subjects ranging from inhabited landscapes to the sea, abstract pieces and caricatures, and several artefacts are also on display including the author’s inkwell. Hugo: Visions of Exile is open daily until Saturday 9th September at Guernsey Museum at Candie, Candie Gardens, St Peter Port (10am – 5pm). Admission costs £6.50 for adults, and £2 for children or students (accompanied children under 7 are free).